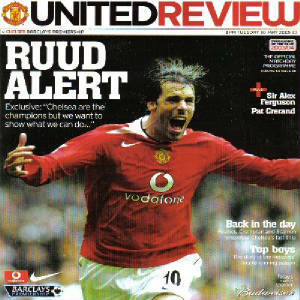 Manchester United, the club I fell in love with a long time before I even knew Lincoln had a football team. I loved United from early childhood so anyone who calls me a glory supporter is obviously ignoring the fact I started supporting them in ’88, when they hadn’t won anything for years. Whilst I'm on the subject, doesn't it annoy anyone else that Liverpool fans called United fans glory supporters despite the fact they started supporting Liverpool right in the middle of them winning everything? 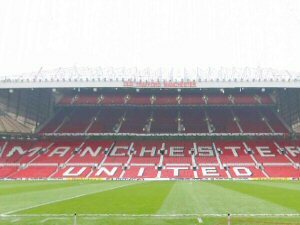 The view from all stands is magnificent and the atmosphere at a fully old Old Trafford is just amazing and I to see some of the legends of Old Trafford playing means so much to me. 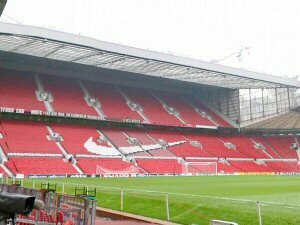 The only thing about Old Trafford I don't like is the upper tier of the North Stand, although it offers a great view, I certainly recommend it if you're scared of heights like I am. 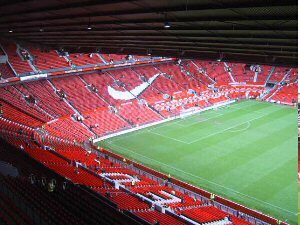 The only thing I despise when going to Old Trafford is finding a parking space. The best place to go is the Trafford Hall Hotel, roughly a 10 minute walk from the stadium and probably the cheapest parking around the place. 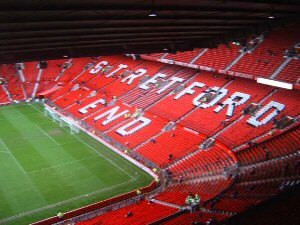 Overall, if I had to pick my favourite game at Old Trafford, it would have to be the 9-0 win over Ipswich, just a great day to be a United fan and to this day, still the record Premiership win. 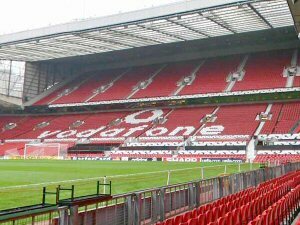 Anyone who doesn’t want to visit Old Trafford is a fool as it is one of the best venues in the country and you never get a dull moment there.